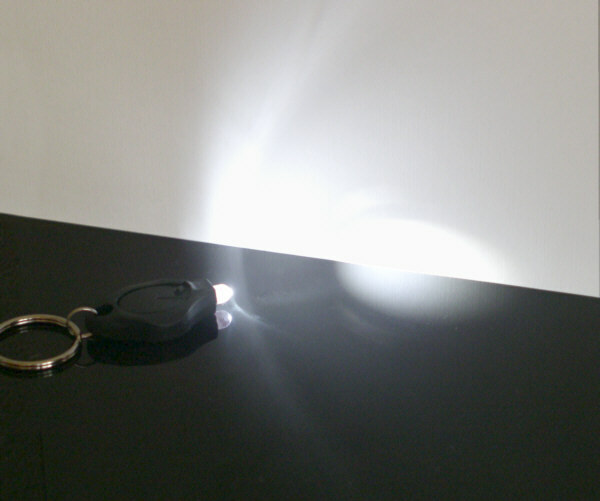 Black keyring flashlight with PHOTON LED. This is the LED with the most extreem brightness known to mankind. Pushbutton with latch. The powersource here are 2 lithium CR2016 cells with a very long lifetime.